On July 13, 1863, as 233 children were led from the back door to safety, a white mob attacked the Colored Orphan Asylum and burned it to the ground during the city’s deadliest riot. 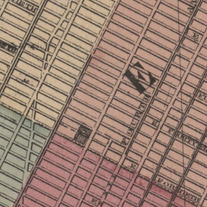 In 1863, the Colored Orphan Asylum was located on Fifth Avenue between 43rd and 44th Streets. From there it moved to Harlem and finally to the Bronx. If you were black and orphaned in New York in the 1800s, there was nowhere to go but the cruel streets. So in 1836, three Quakers, Anna and Hanna Shotwell and Mary Murray, founded the Colored Orphan Asylum to provide assistance to homeless and destitute black children. It was the first such institution in America. In 1846, the brilliant and socially-minded Dr. James McCune Smith, the country’s first licensed black medical doctor, became the orphanage’s medical director, where he and other like-minded members of the black community encouraged the children of the orphanage to seek skilled jobs when they left the orphanage. 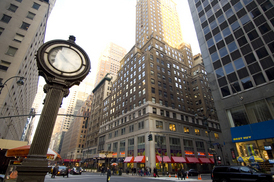 Housed in a four-story building with two wings of three stories each, on Fifth Avenue between 42nd and 43rd Street, the building was home to an average of 400 children annually. The orphanage is remembered best not for the good it did, but for what happened to it on July 13, 1863. 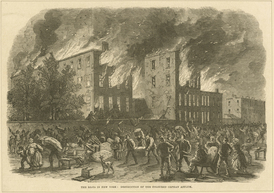 On that day a hate-filled mob of white men and women ransacked the building, looting and burning it to the ground, igniting the New York City draft riots of 1863. The 233 children in residence were led to safety by the matron, barely escaping with their lives. Two firemen, Chief Engineer Decker and Paddy McCaffrey showed exceptional bravery trying in vain to put out the fire, risking their lives to help save the orphans from the fire and the angry mob. The orphanage was re-established on 51st Street and later moved to 143rd Street between Amsterdam and Broadway in Harlem. This depiction of the draft riots was originally published in 1863.